Our Criteria Are Straight Forward. What do we typically invest in? Fischer Investment Capital primarily looks for opportunities in manufacturing and services in the following markets: Consumer Durables, Housewares, Hardware, Apparel, Industrial Products, Consumer Goods, Plastics, and Packaging. Investments in other areas are considered on an opportunistic basis. FIC generally considers companies that have annual revenues of $1 to $30 million. Prospective investments are companies that have strong competitive positions and are poised for accelerated growth. Their competitive positions are characterized by either proprietary products or processes. Prospects are in need of additional support to enter the next stage of their growth cycles. Some companies need capital and guidance during accelerated growth. Other companies need financial and strategic help to restructure operations in a changing competitive environment. FIC looks for situations in which it can assist a company to more effectively leverage its assets. Fischer Investment Capital also will consider turnaround opportunities. Who do we typically invest with? FIC's ability to structure deals with creativity and flexibility separates us from larger investment companies. We prefer to structure deals such that management earns a meaningful equity stake in return for high quality performance. While we encourage independent thinking among our management partners, we are an active investor who values collaboration. FIC rewards entrepreneurial managements who have both the drive to succeed and who communicate and share ideas. FIC invests in opportunities across the continental United States. Due to the location of its offices, FIC emphasizes its efforts in the Midwest and on the East Coast. Where do we get funding? Fischer Investment Capital raises equity funds from wealthy entrepreneurs who want to invest in small private companies. These investors are not only a source of capital, but also an invaluable knowledge network. Fischer Investment Capital also employs debt capital. FIC has fostered a multitude of relationships with lenders across the country. We consider our lending relationships a key resource. FIC strives to continually strengthen and expand this branch of our knowledge network as well. Do we work with intermediaries? Fischer Investment Capital welcomes the opportunity to work with intermediaries. FIC treats all information with the highest confidentiality and will execute appropriate non-disclosure agreements. Will we invest in companies that do not fit all of our investment criteria? FIC views itself as an opportunistic organization. FIC's ability to think creatively and act flexibly enlarges its set of profitable opportunities. 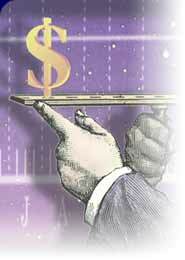 Therefore, we will look at investments that do not exactly match the ideal described above. However, since FIC focuses on opportunities to add value, we likely will give preference to those deals that most closely match our criteria.